Poisoned Pen Press, 9781590589083, 250pp. Pucci Lewis was used to ferrying fighter planes and undercover work. But itas the dark hours of WWII, and Hollywoodas biggest stars, studio moguls, and Washington bureaucrats are working hand-in-glove to merge entertainment and propaganda. Pucci has been dispatched to the First Motion Picture Unit, where a make-or-break documentary on the Women Airforce Service Pilots (WASPs) is underway. Pucci is stepping in for a sister-WASP, now hospitalized in critical condition after an all-too-deliberate plane crash. But whoas the saboteur? Why the cover-up? Pucci is drawn into a high-profile homicide. A big-name director has been murdered, possibly by Nazi operatives. Military intelligence wants Pucci to learn what she can from her inside position. Bela Lugosi is a frequent visitor to the Beverly Hills mansion where Pucci is temporarily billeted. His aniece, a a rising starlet and also the housekeeper, has a history with the Hungarian resistance. But Pucci doesnat trust the girl. Can Pucci steadfastly maneuver through movie land and its narcissistic denizens, finally unraveling the uncertainties to prove she has the right stuff? Margit Liesche is the daughter of Hungarian refugees who arrived in the States in 1947 following years of missionary service in war-torn central China. Weaned on her parents' tales of isolation, adventure, and escape, intrigue is part of her DNA. 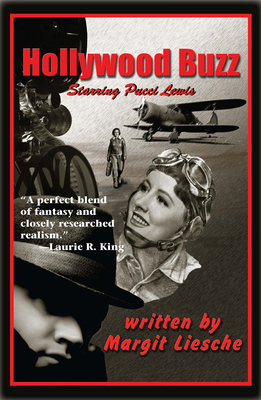 Her first Pucci Lewis adventure, Lipstick and Lies, was published in 2007. Margit lives in Marin County, CA.